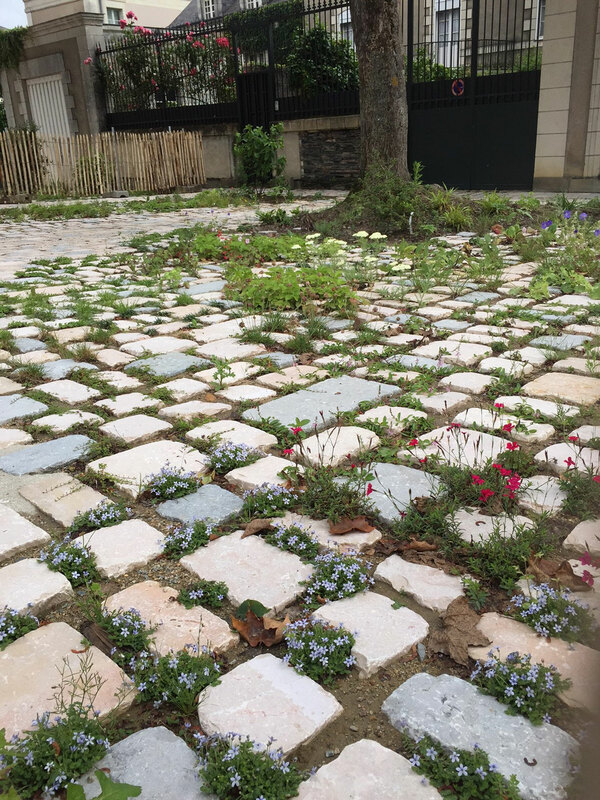 This diversity allows the wealth of exchanges, the intersection of approaches in a common logic project. 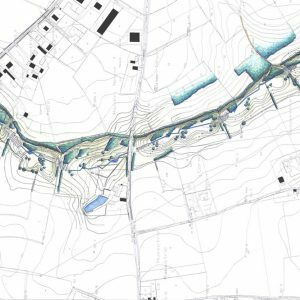 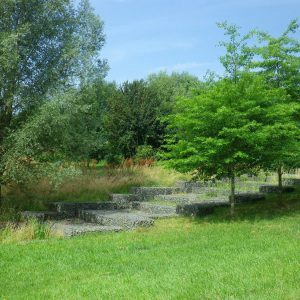 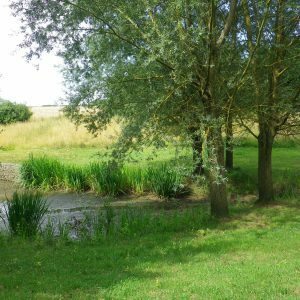 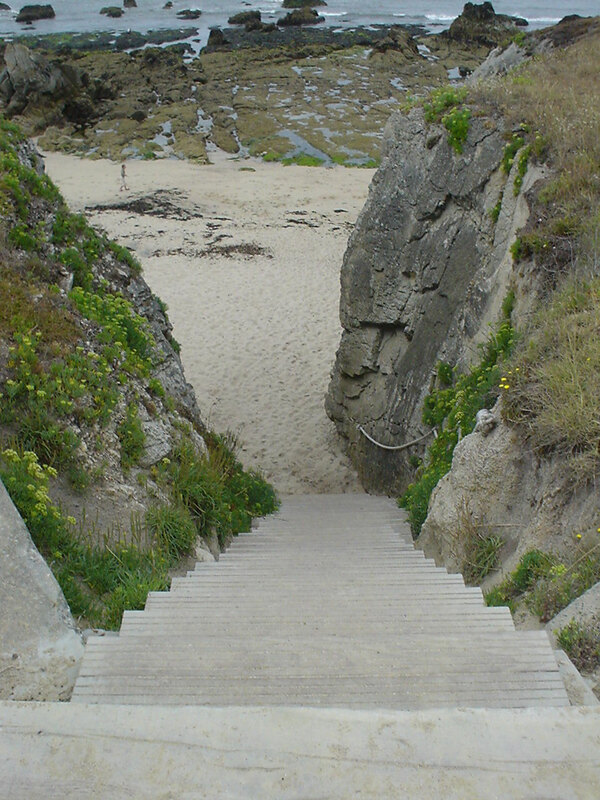 Our creative and technical horizon covers scales, issues and are put into scenes of multiple landscapes, particularly in areas of river and sea shores, wetlands, polluted areas, or for architectural or urban projects complex. 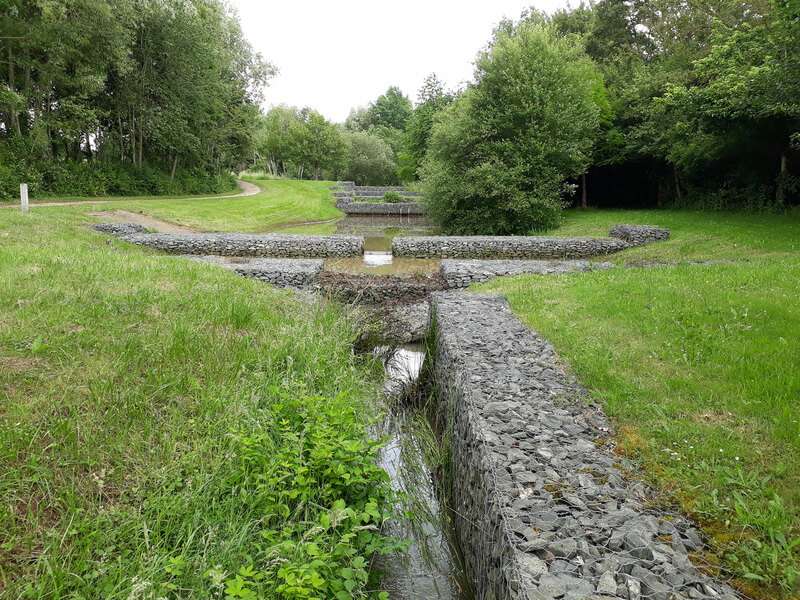 Our work feeds on interventions in geographies and contexts very various: most urban (capitals, regional cities or border …) to the more natural (spaces Atlantic, Mediterranean and to the past) and the more rural. 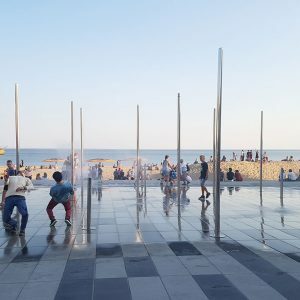 Resolutely turned towards the operational, the Agency dealing with projects based on the teater that offers the landscape, emphasizing a pragmatic, empathetic and sensory approach where strongly expresses the living. 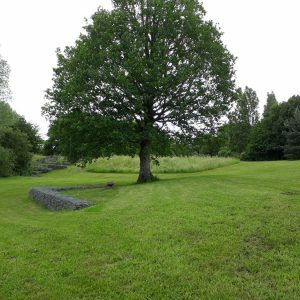 Our work is based on the intrinsic qualities of the place, their origins and their potential on the perception and the development of uses. 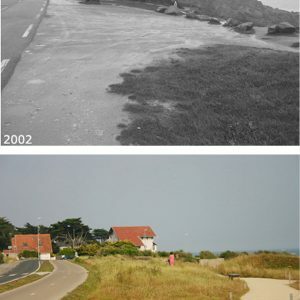 These many references include projects of integration of infrastructure such as the tram or the transformation of Expressway in peace boulevard, projects of development of coastal areas or coastal cities, plans of programming or ecological management, denaturation of industrial sites or degraded shorelines, parks and urban projects, new neighbourhoods, places, streets, … but also land and heritage studies. 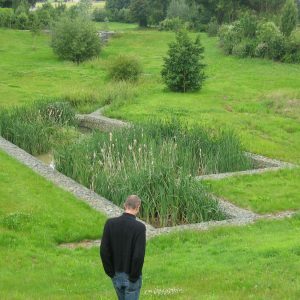 Our proven development, landscape, ecological and functional territory changing ecological, industrial, or urban, dense urban areas or natural areas.For more than 10 years, the quality of the infrastructure by Phytolab is hailed by many awards and distinctions, international, European, national and local. 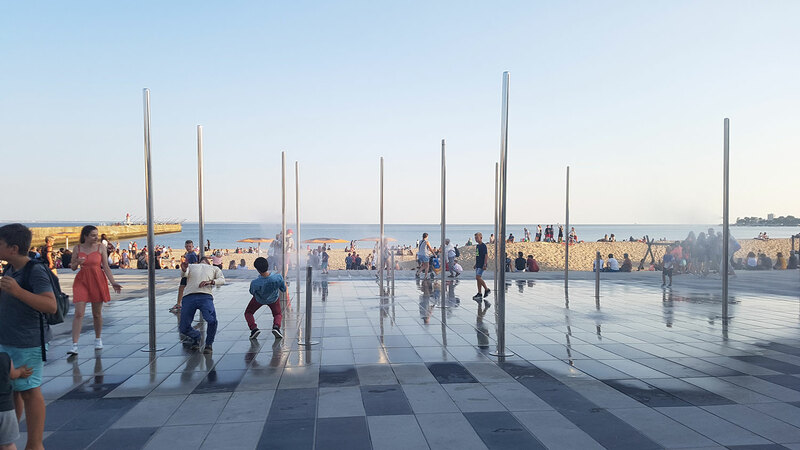 Their regularity is the sign of our consistency in creating quality spaces, responding both to the challenges of development and the expectations of the users. 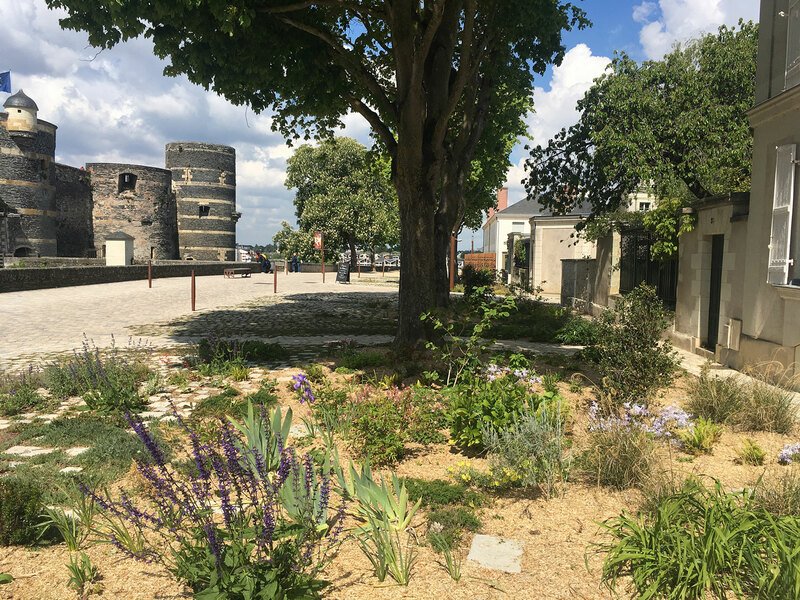 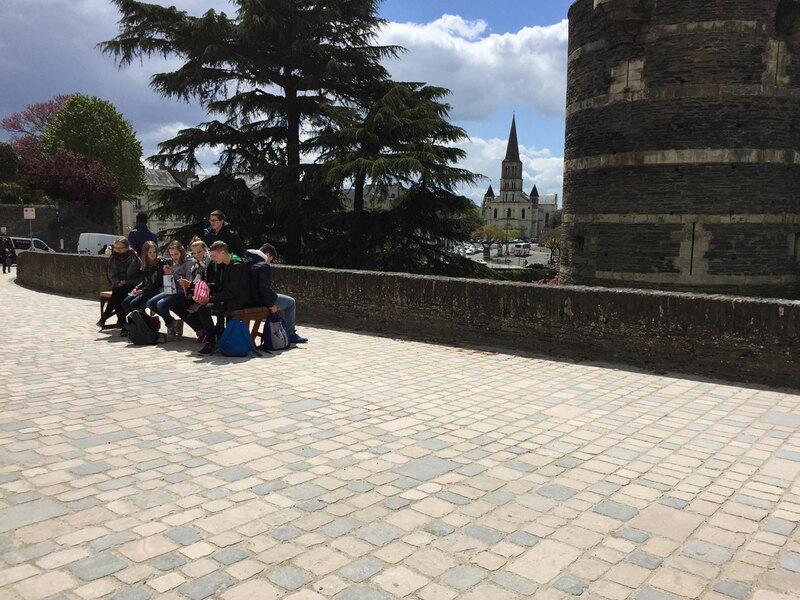 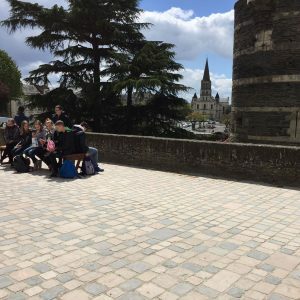 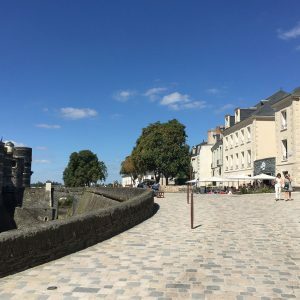 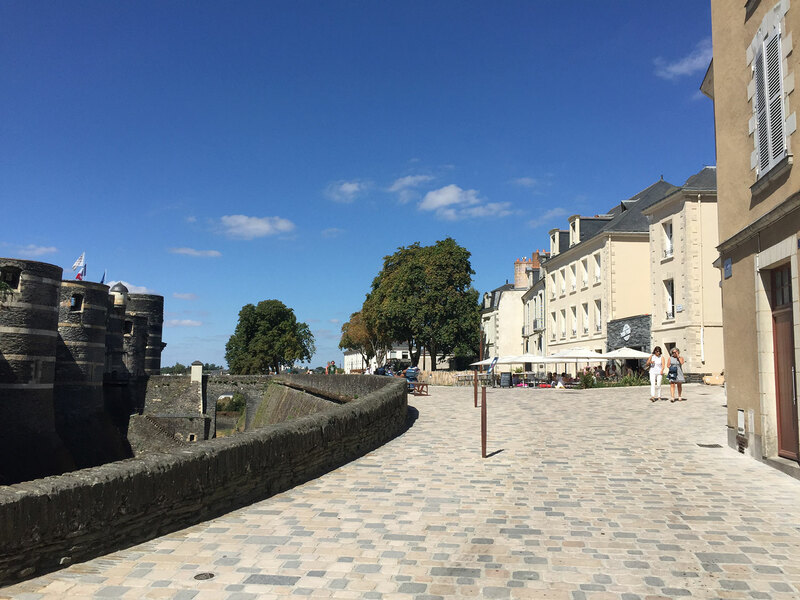 The « promenade du Bout-du-Monde » is an emblematic place of the city, serving the historic centre and offering a great view to the remarkable landscape of the river Main and the castle of Angers. 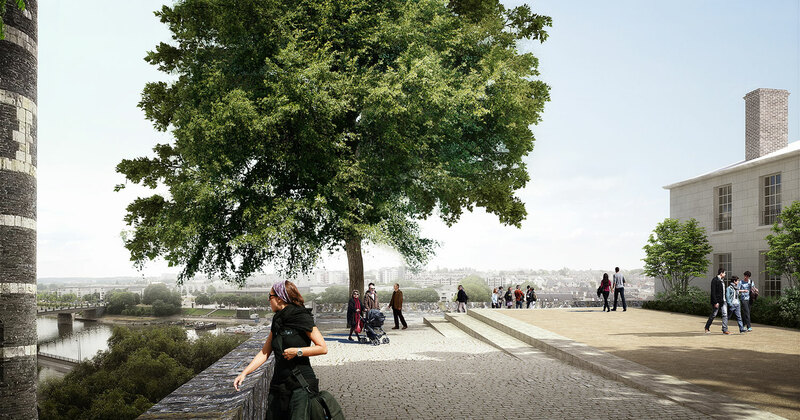 Before the renewal the site was a simple road congested by parked cars and few visitors came to enjoy the panoramic view to the river valley. 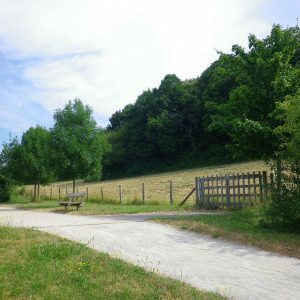 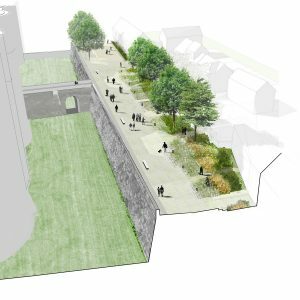 The principal ideas of the project are to highlight the historic buildings and surrounding landscape by a very simple design of the public space and unobstructed lines of sight. 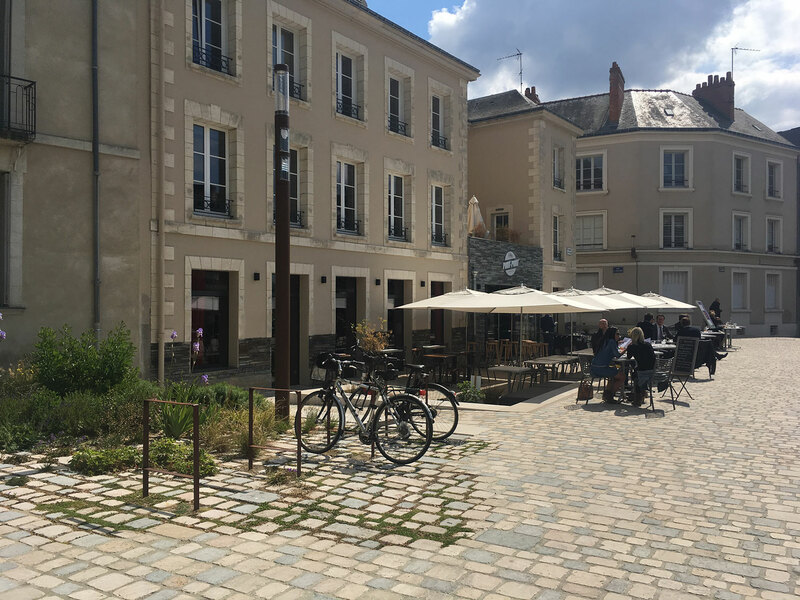 The transformation in a pedestrian area and the renovation of an existing building with the opening of a restaurant contribute to the attractiveness of the place. 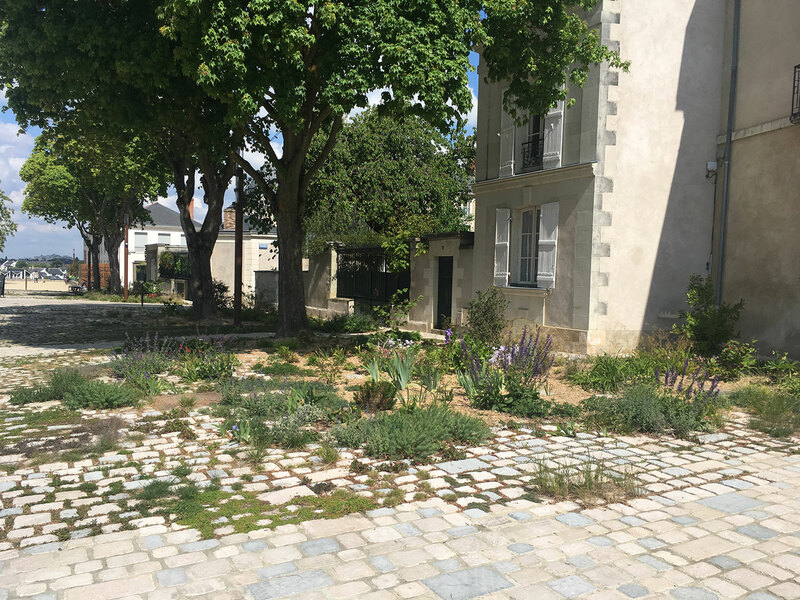 In addition to this main aspects the gradual transition between the paved and planted areas is treated in a particular way with a wide range of specific species of perennials. 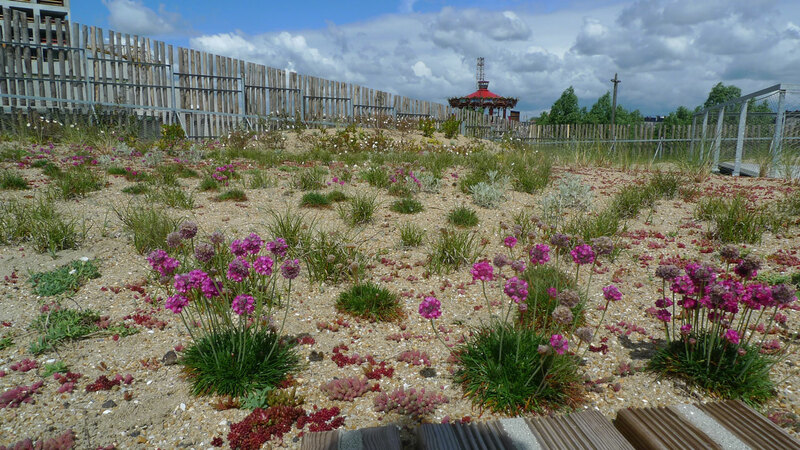 The plant selection is the result of research and exchanges with local nurseries, showcasing the local horticultural skills. 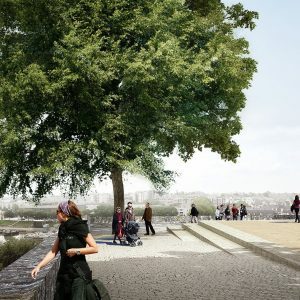 Giving the impression that it has always been as it is now, this very popular site reflects the qualities of the city: a combination of cultural animation, heritage, landscape of the riverbank and greenery. 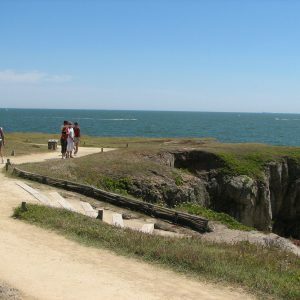 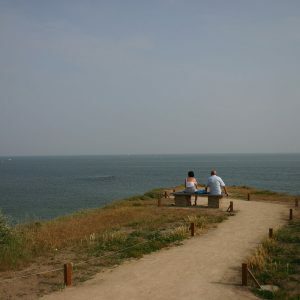 The 3-kilometre coastline has been severely damaged by exposure to wind, uncontrolled increase in the number of visitors and urbanisation. 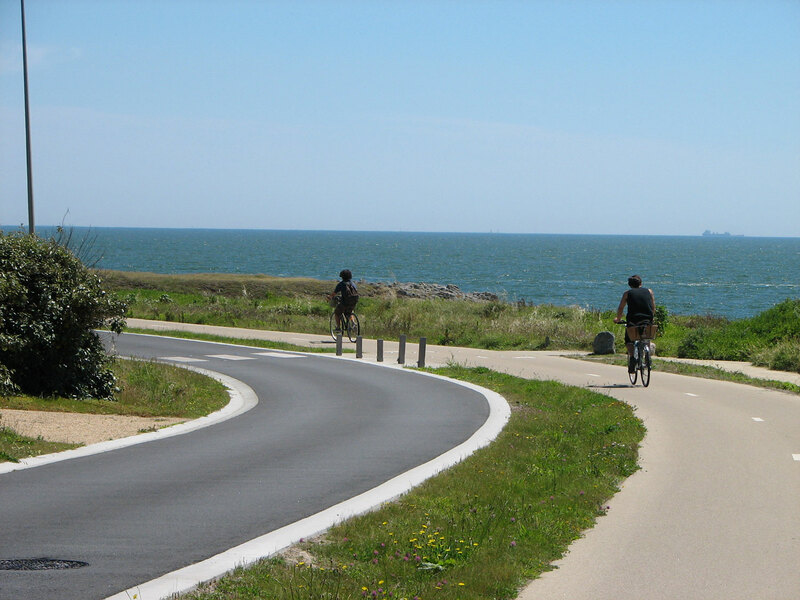 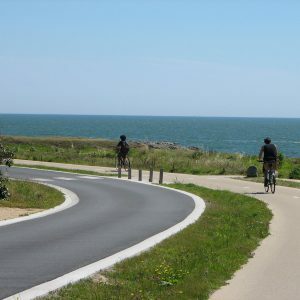 Its restoration consists in modifying car traffic lanes, creating a 2.5-kilometre bicycle path and restoring the coastal pedestrian path. 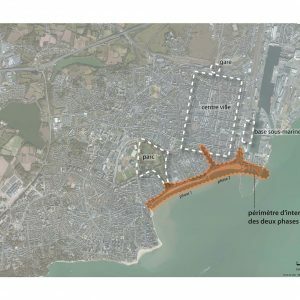 The following measures are proposed: ecological rehabilitation: pedestrian, car and bicycle traffic flow limitation, vegetation based on innovative and experimental techniques, implementation of a rainwater management system (collection and treatment), removal of all parking lots (approx. 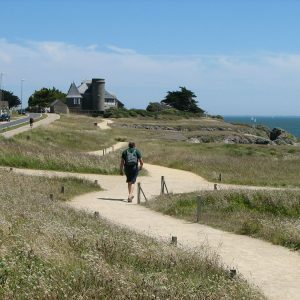 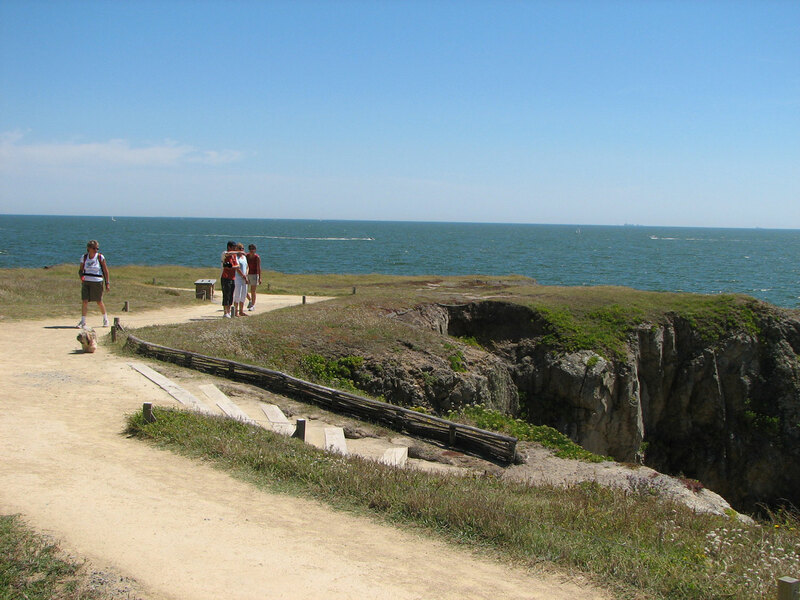 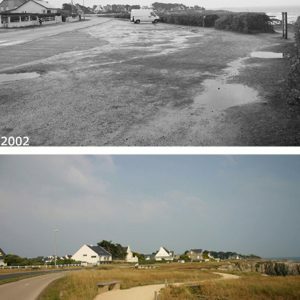 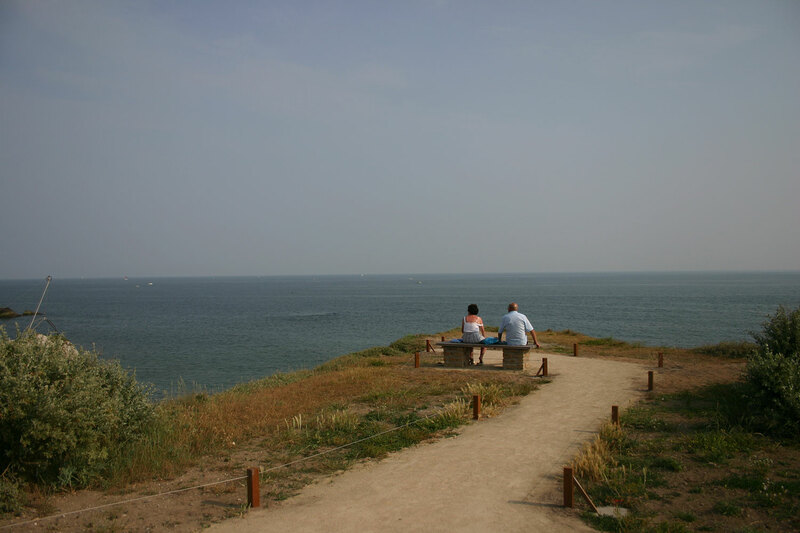 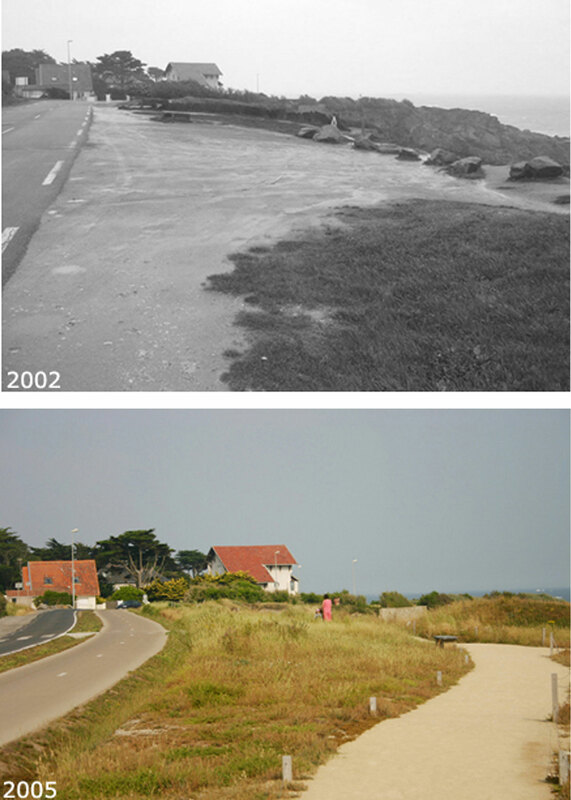 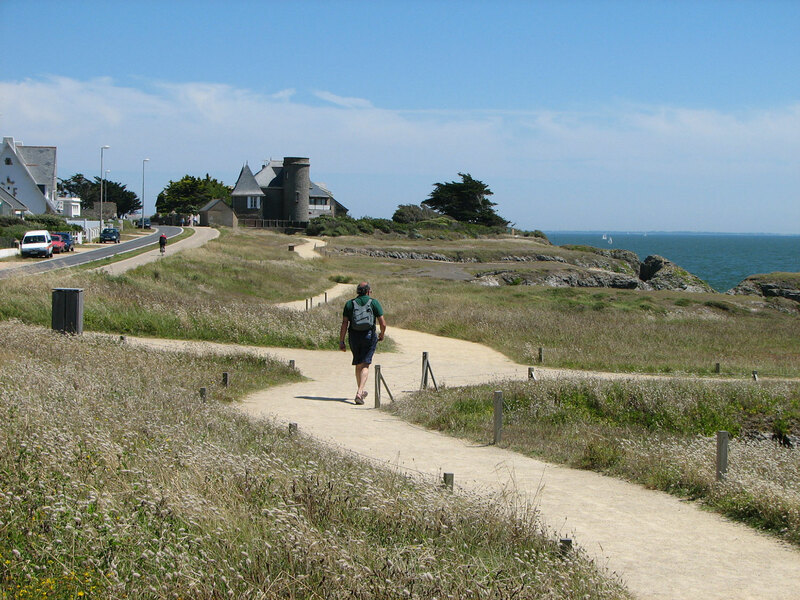 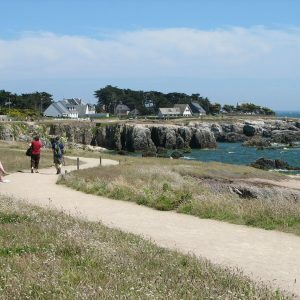 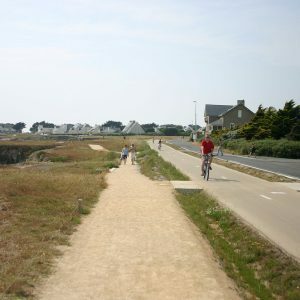 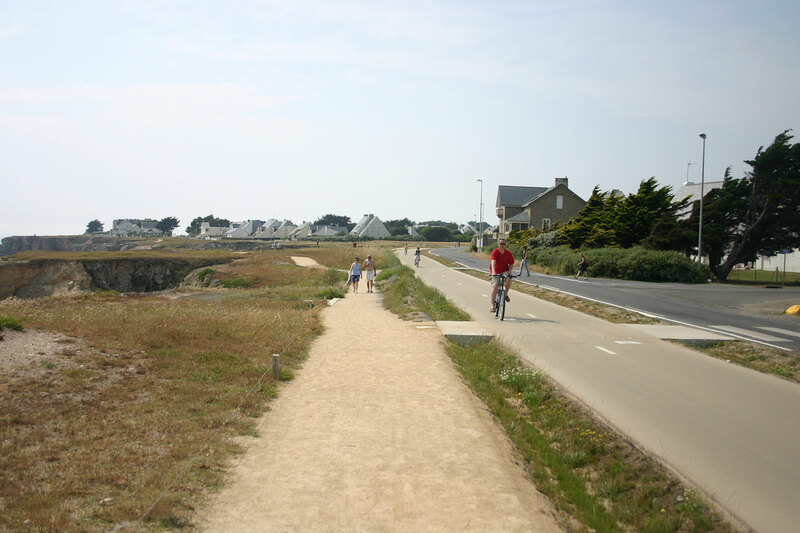 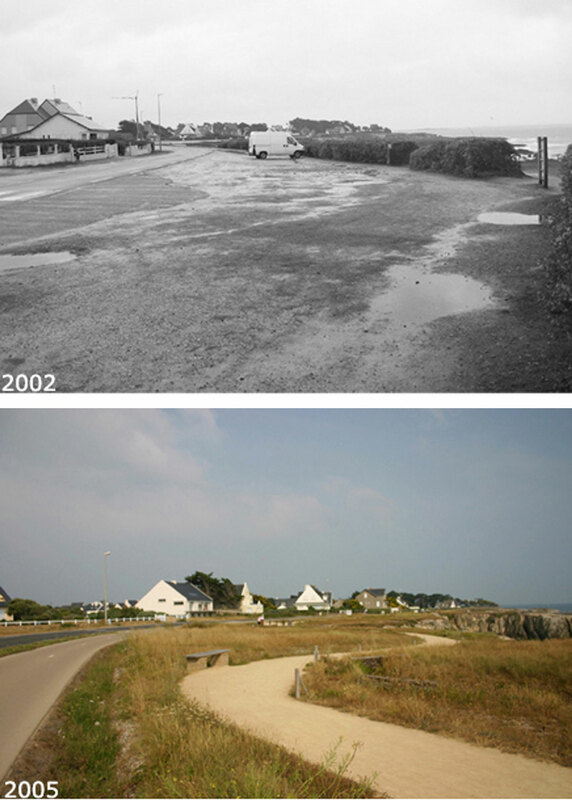 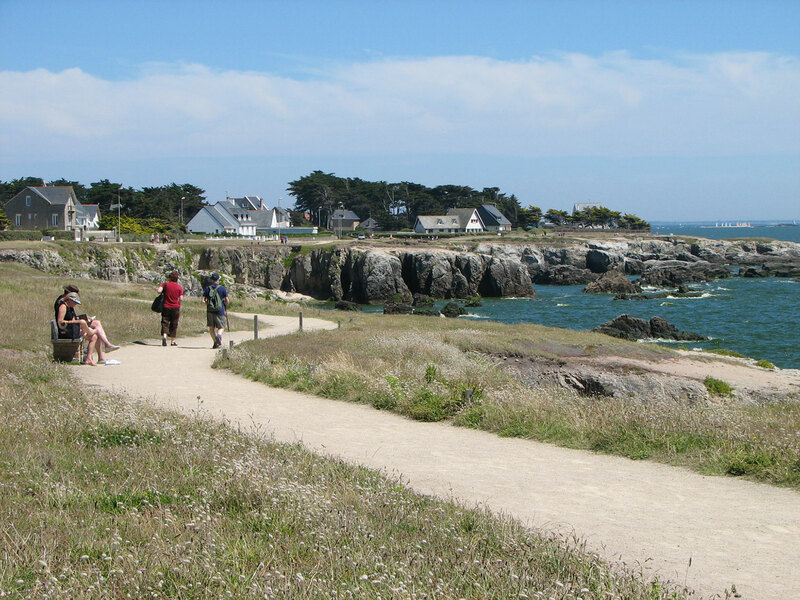 1 hectare) between the road and the coastline, landscape promotion: simple measures that enhance the site’s qualities while allowing heavy traffic to be maintained and the site to be preserved over the long term. 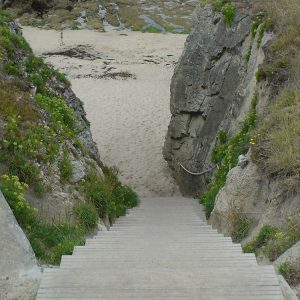 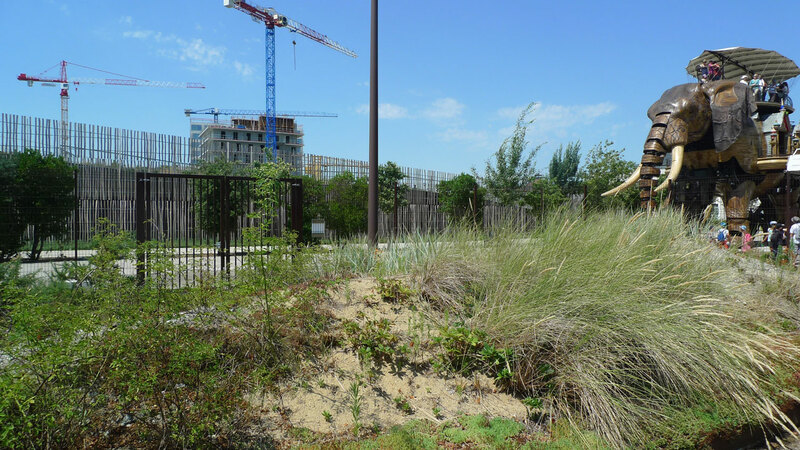 300 square metres of natural dunes and moor in the heart of the city. 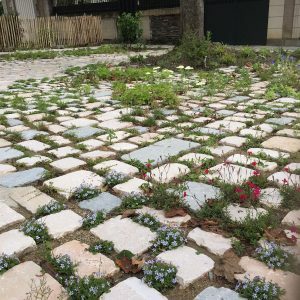 An experimental and educational project. 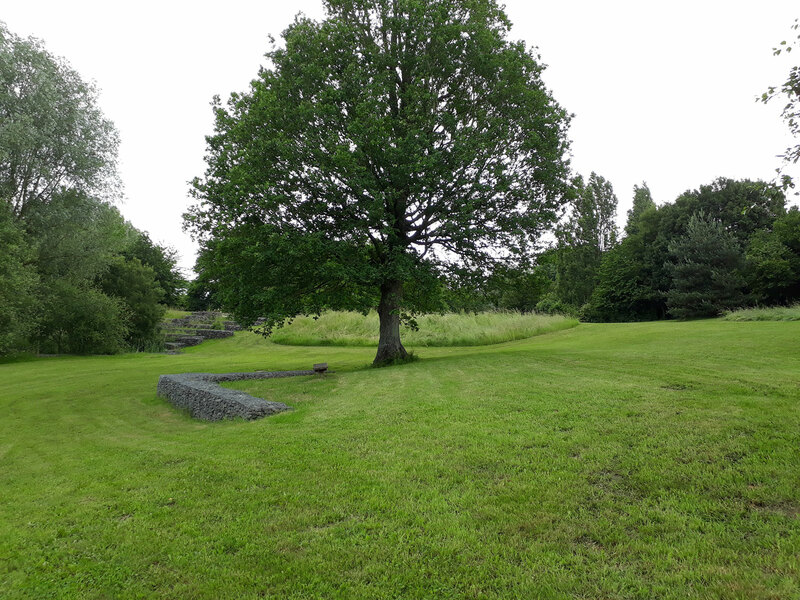 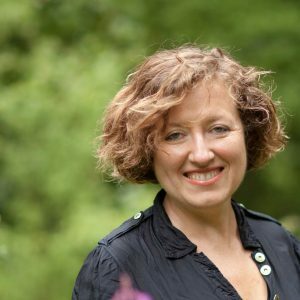 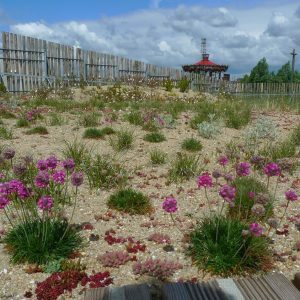 The objective is to create a green roof relying heavily on a phytosociological approach to plant colonisation and a high biodiversity, but also a site that is easy to manage. 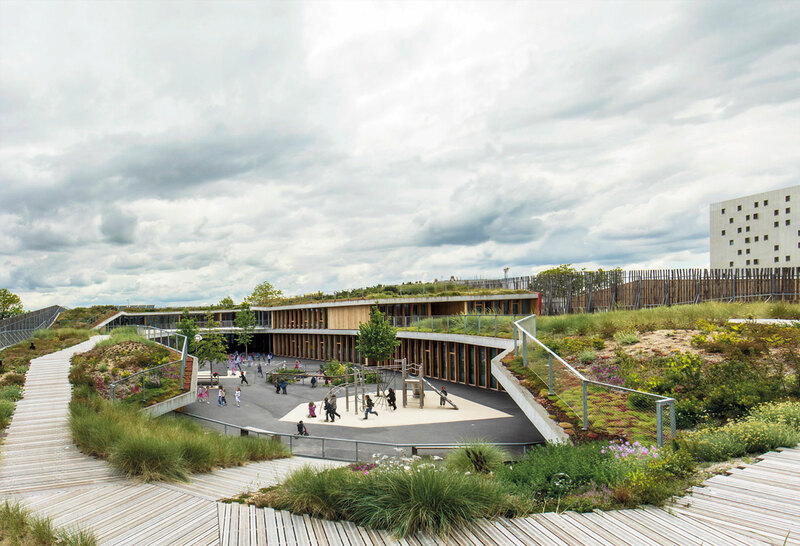 On top of this dimension comes the educational aspect: the green roof situated on the first level is accessible to accompanied children. 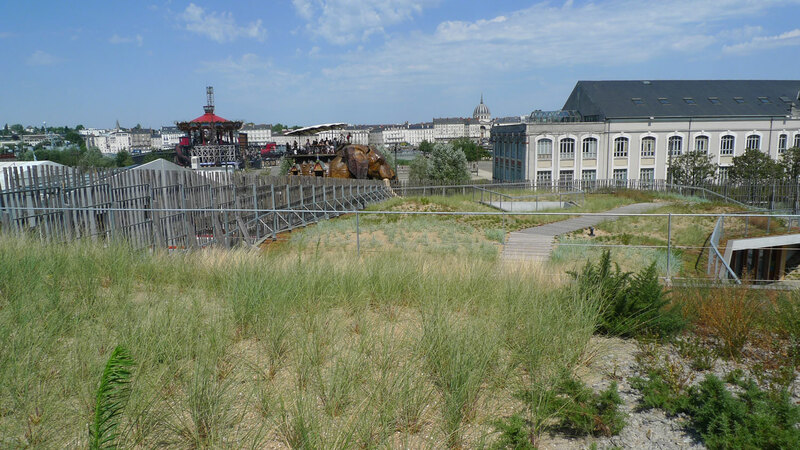 The moor and dunes vegetation of the European Atlantic coast has been recreated. 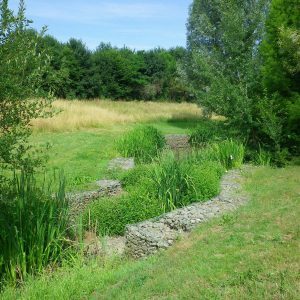 The project entails an important technical aspect (slope, substrate type and thickness, wild seed collection, water management, etc.). 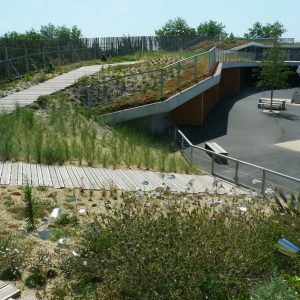 Thanks to a research and a feasibility study on an experimental plant roof located near the project, it was possible to adapt the range of plants and planting techniques to the constraints of slope and gully, and of substrate and drainage. 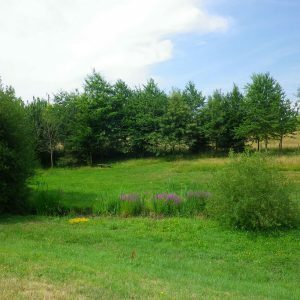 A scientific monitoring of planted weeds and plant dynamics over a two-year period led to the adoption of management procedures geared towards the control of opportunistic species and the reduction of maintenance costs. 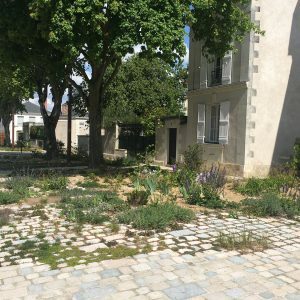 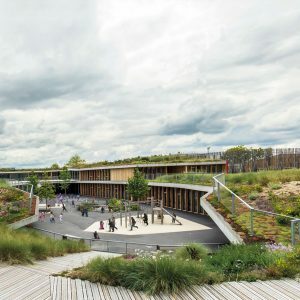 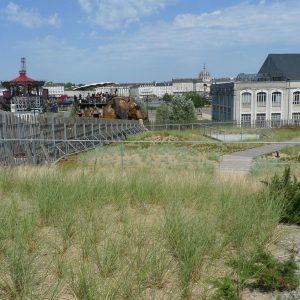 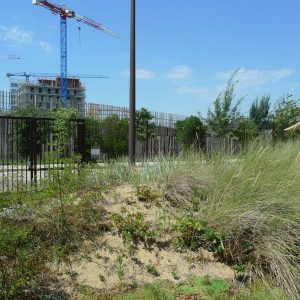 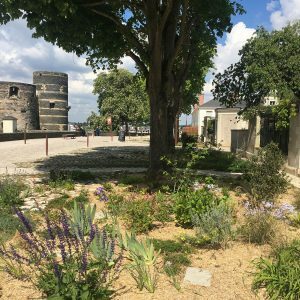 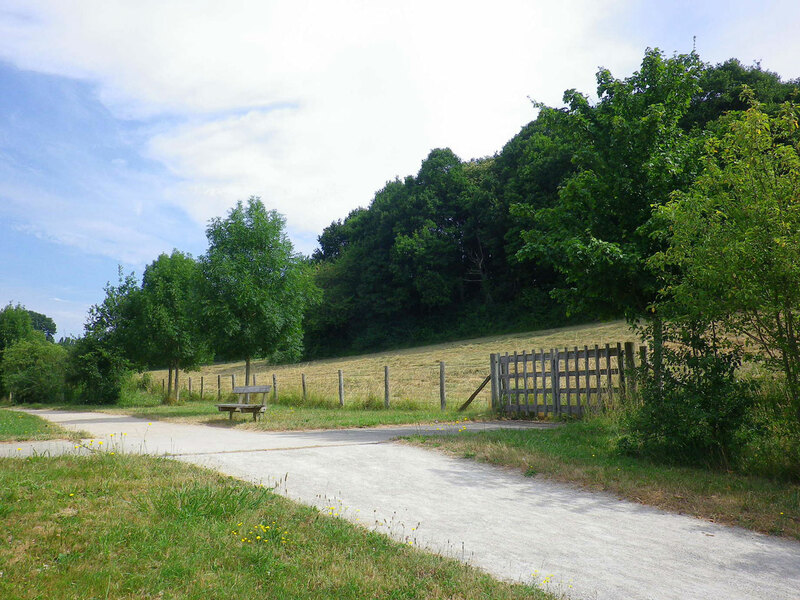 This project has received grants from the Regional Council of Pays de la Loire as an experimental innovative project combining green roofs and urban biodiversity. 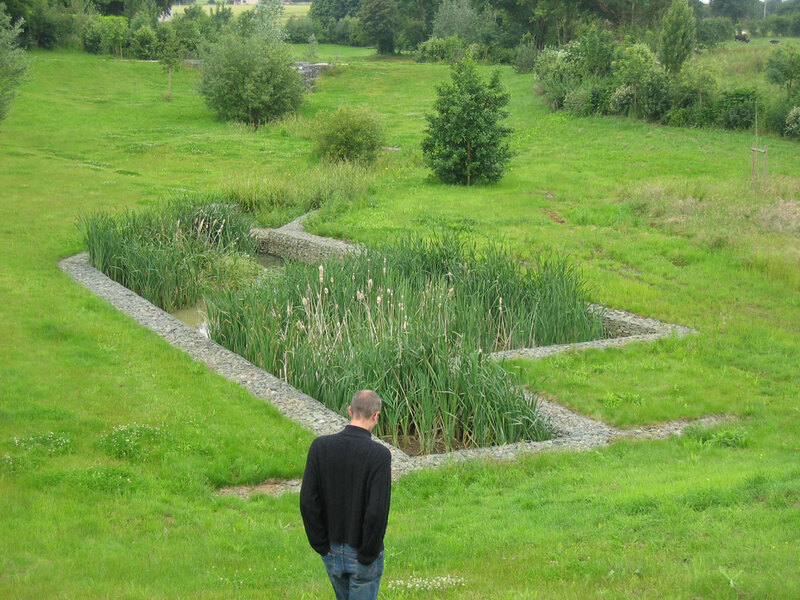 As part of a urbanisation project the Urban Community of Le Mans decided to use a thalweg for the creation a rainwater retention zone following the natural evironment. 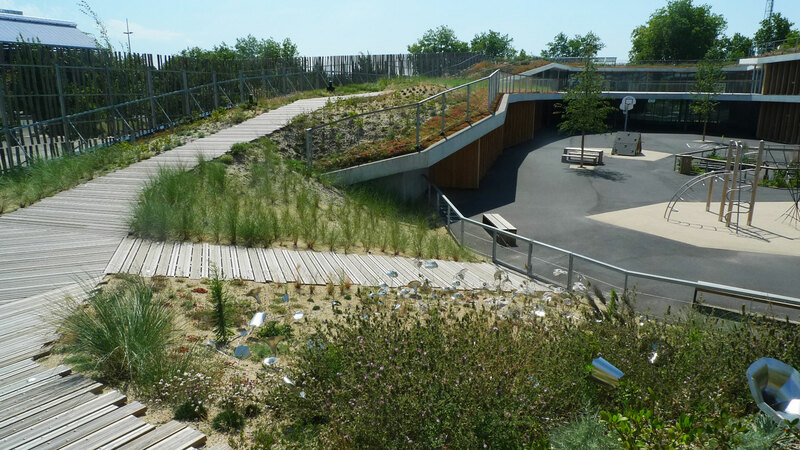 The project designed by our team is a landscape park integrating the rainwater management and park uses like walks and other leisure activities. 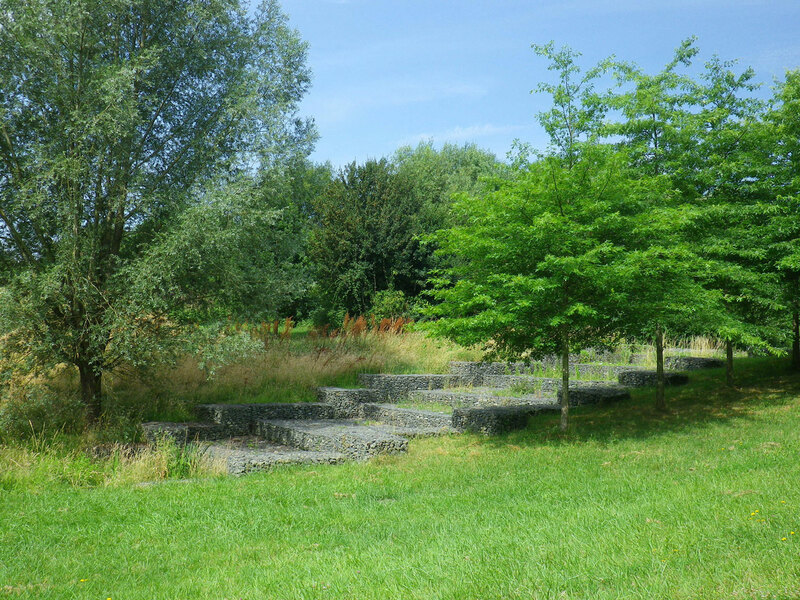 Great attention has also been paid to the vegetation added around the retention areas and the entire park. 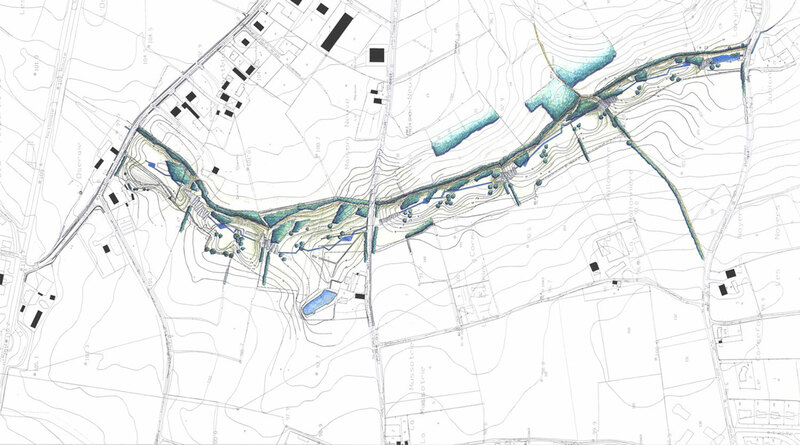 The retention ponds are installed on different levels, following the topography. 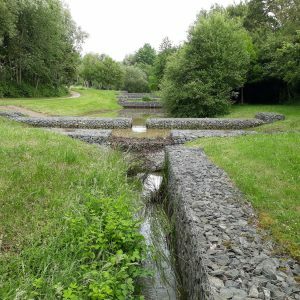 The dikes with a weir system made from gabions help to create paths across the valley. 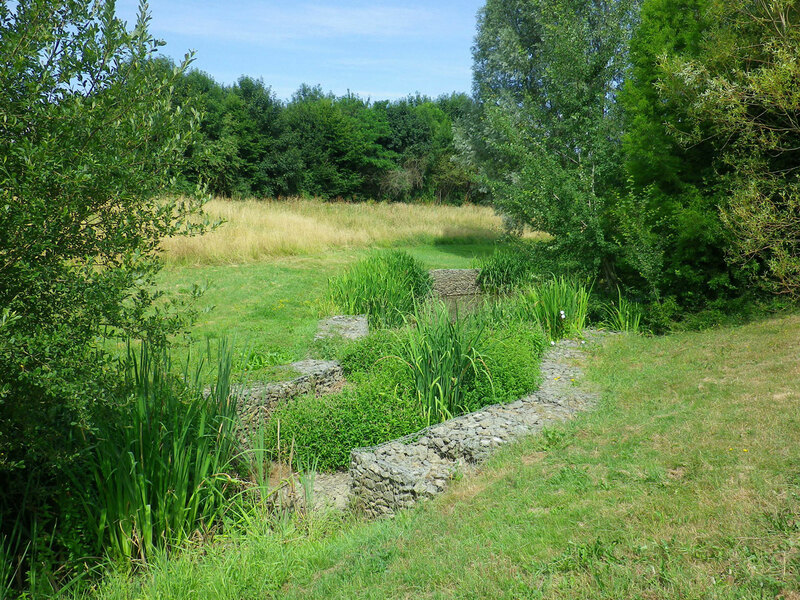 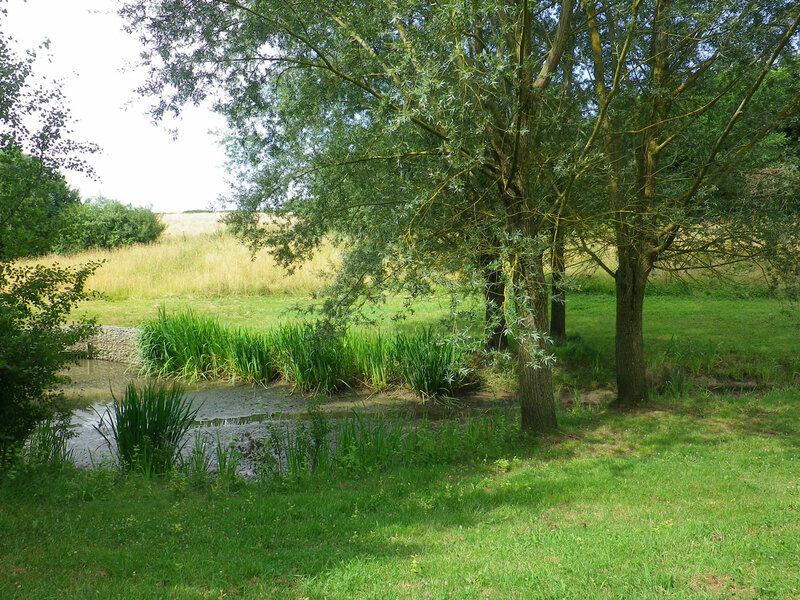 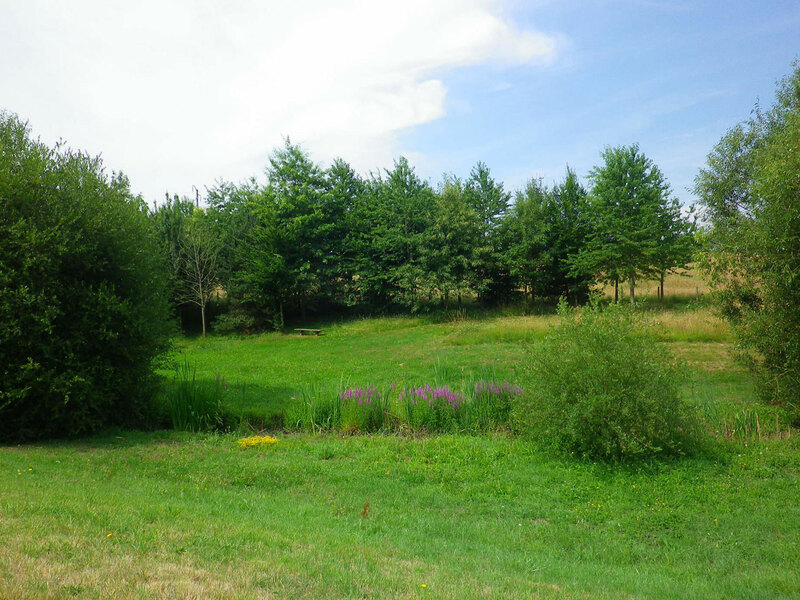 The shape of the ponds changes according to the water level, due to the design of the retention areas. 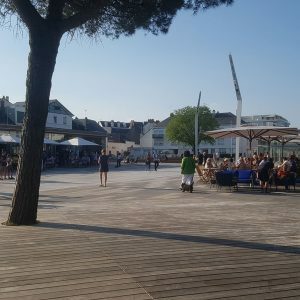 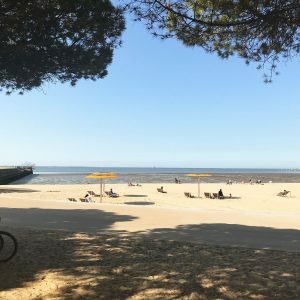 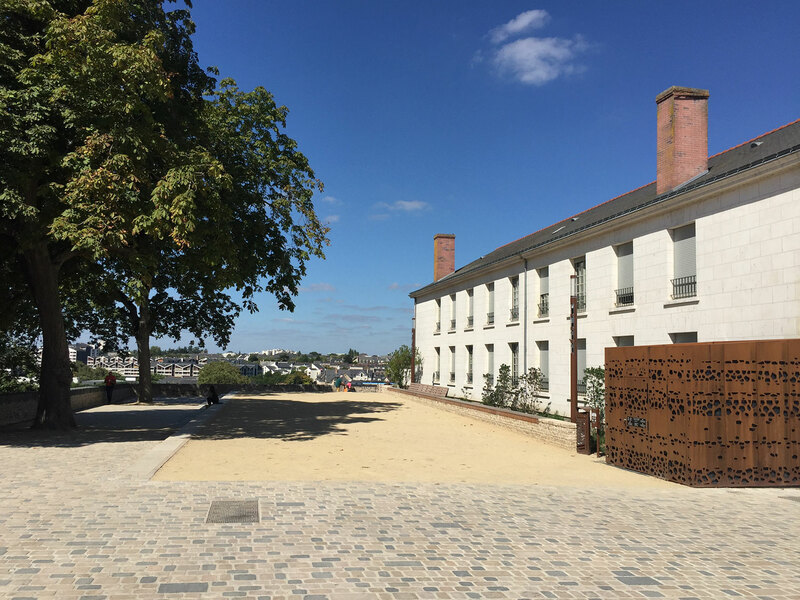 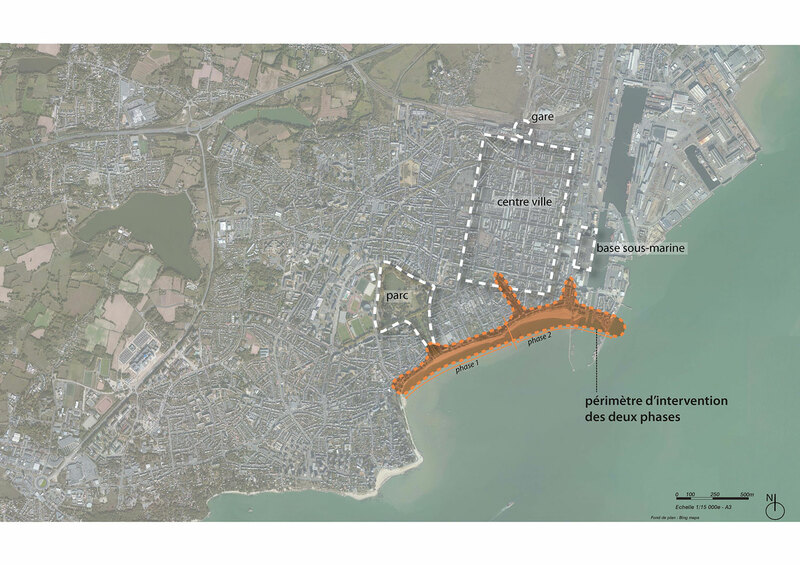 The 3.5 km waterfront of Saint-Nazaire, which represents the main entrance into the town, is being turned into a new, ‘peaceful’ traffic area. 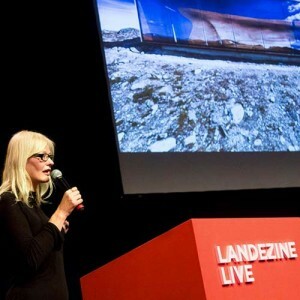 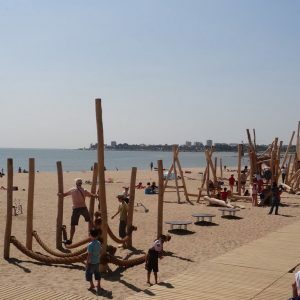 Our project received a special mention in the Urban Design Award 2010 (France). 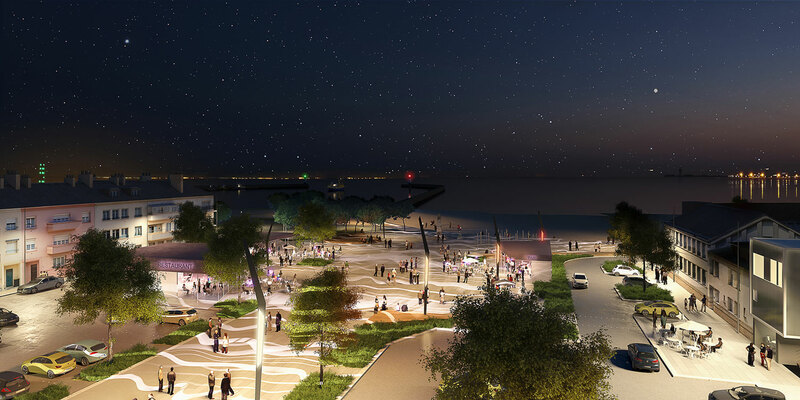 The project consists in a full rehabilitation of the public space (removal of waterfront parking lots, reduction of car traffic, creation of large pedestrian and bicycle paths, etc.) 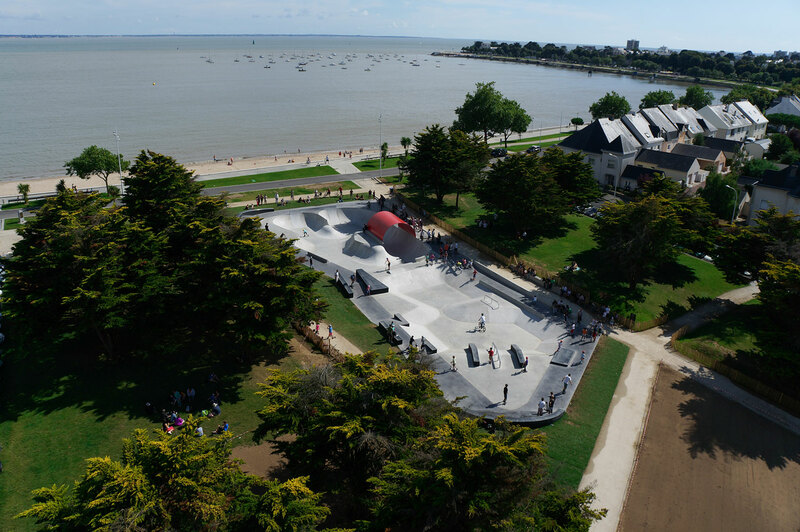 and the installation of facilities (skate park, coffee kiosks, cafes with sea views, etc.) 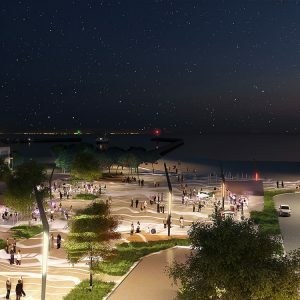 which are meant to reconnect the city and the bay. 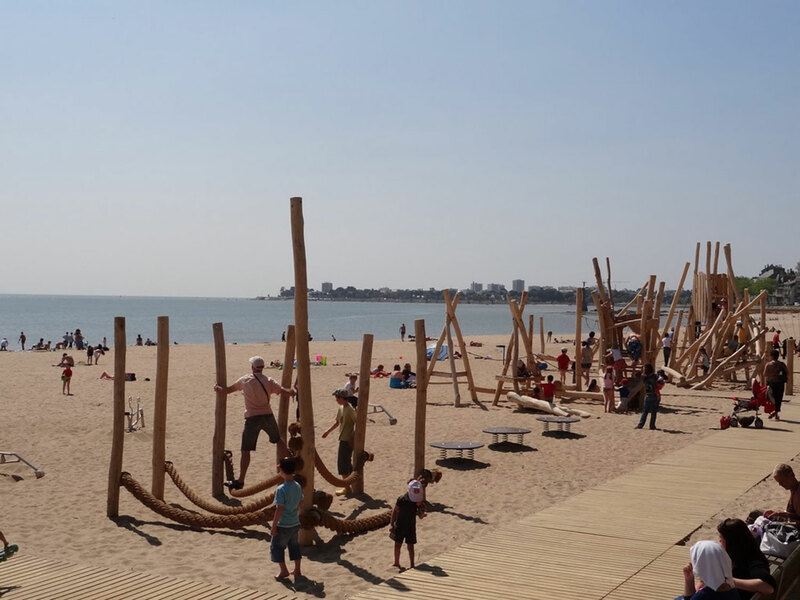 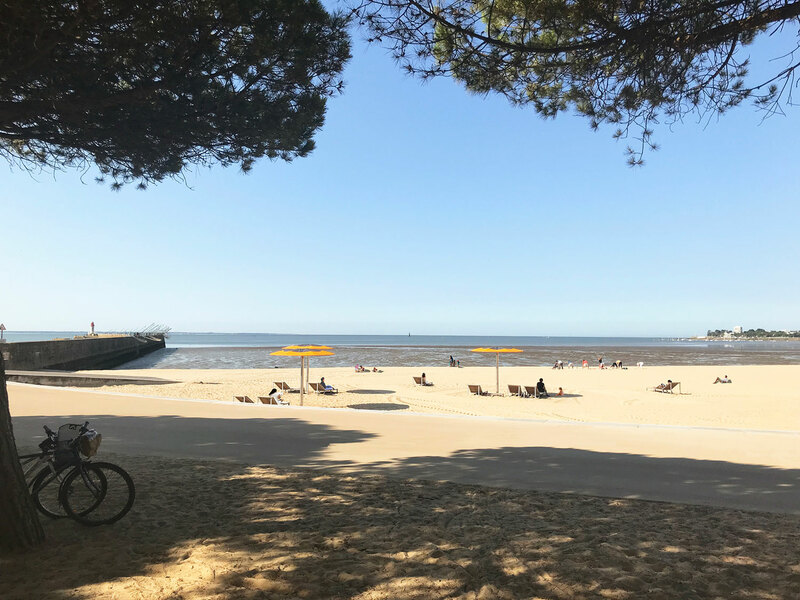 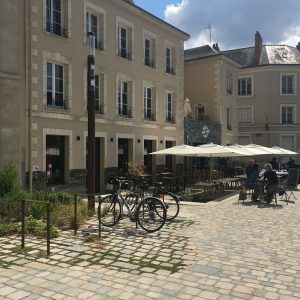 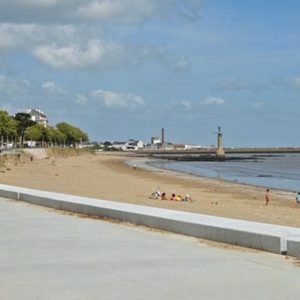 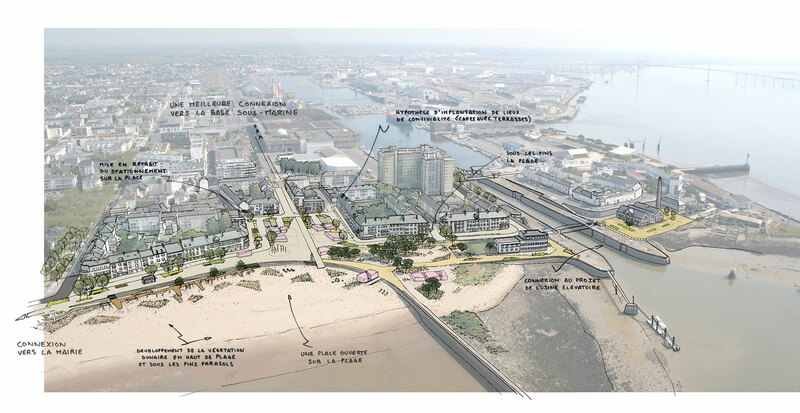 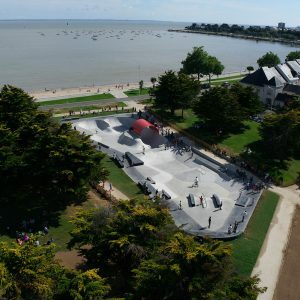 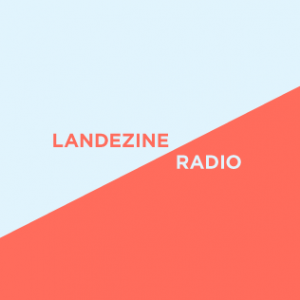 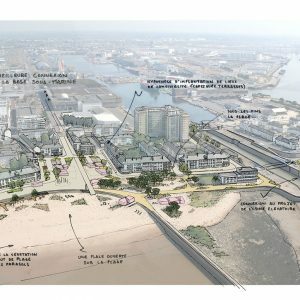 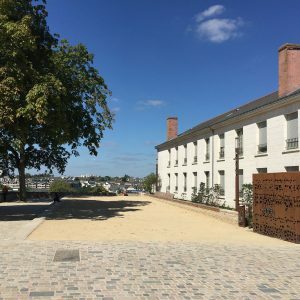 The project is the result of a large public consultation, it makes Saint- Nazaire more attractive and it is very popular with the wider public. 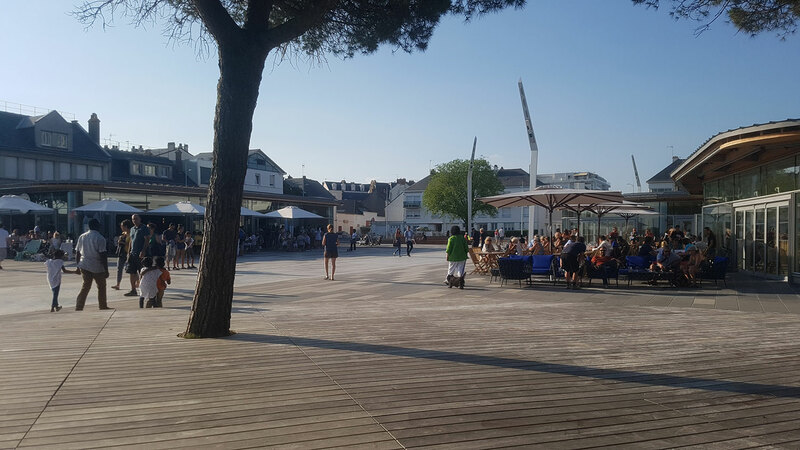 Abandoned at one point, the waterfront is now the place to be.